Jim S. Rosell, PA-C, is a native to Southern California where he studied and graduated in Biochemistry from Cal State Fullerton. During Jim’s undergraduate studies, he spent two years in Veracruz, Mexico, where he became fluent in Spanish. He also volunteered at USC County Hospital in the Emergency Department/Orthopedic Trauma Center, where he fell in love with Orthopedic Surgery. He attended Quinnipiac University in Hamden, CT where he received a Master’s degree in Physician Assistant Studies. He gained a high level of experience in various areas of medicine includingGeneral Surgery,Emergency Medicine, Interventional Radiology, and Cardiothoracic ICU to name a few. Asa Board Certified Physician Assistant, Jim joinedDesert Orthopedic Center inFebruary 2015. He is excited to work with Dr. Patrick St. Pierre, who specializes in Sports Medicine and Shoulder/Elbow, as well as working to improve overall health and wellness. 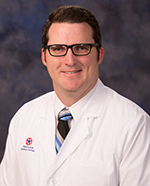 Jim is a member of American Academy of Physician Assistants (AAPA) and California Academy of Physician Assistant. He is certified in Basic Life Support as well as Advanced Cardiac Life Support. In his free time Jim enjoys being with his family as well as being outdoors participating in recreational activities like tennis and off-roading.